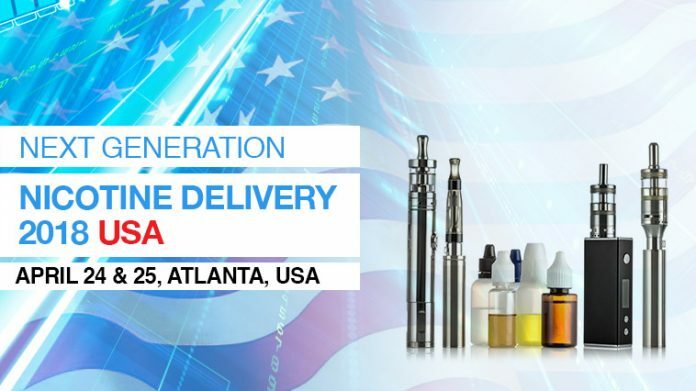 The Next Generation Nicotine Delivery 2018 Conference will be held in Atlanta, GA on April 24 and 25, and SoupWire is attending! The two-day conference brings together a wide range of industry leaders from the new nicotine products category (including e-cigarettes, e-liquid, and pharmaceuticals) for a variety of panels focused on issues facing the industry. This year’s focus is on helping companies understand and adhere to the FDA’s PMTA (Pre-Market Tobacco Applications) regulations, how to navigate expanding into international sales markets without breaking any local rules, and how to use consumer trends domestically and abroad to help increase business. There’s still time to attend if you’re interested. Purchase your tickets for the Next Generation Nicotine Delivery 2018 conference on the official website. Don’t worry if you can’t make it, though – we’ll bring you the biggest news from the event in our convention wrap up post later this week!